The country's legislative body meets only once or twice a year, mostly for day-long sessions to rubber-stamp budgets or other decisions deemed necessary by the ruling Workers' Party. 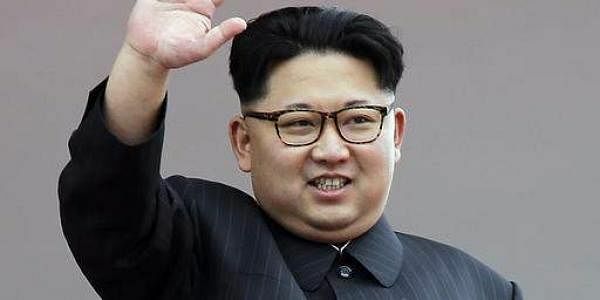 SEOUL: North Korea will hold a rare parliamentary session next month, state media reported on Wednesday, as regional tensions intensify following the nuclear-armed state's recent missile tests. The last meeting was held in June 2016 when North Korean leader Kim Jong-un was elected chairman of a new, supreme governing commission -- underlining his absolute control over every aspect of state policy. "The fifth session of the 13th Supreme People's Assembly will be convened in Pyongyang on April 11," the official KCNA news agency said. As usual it gave no other details, including the session's agenda. Such meetings are carefully monitored by observers for any changes to economic policy or a reshuffle of high-ranking officials. The upcoming session comes against the backdrop of rising international alarm over Pyongyang's military ambitions. The impoverished North carried out a series of missile launches and nuclear tests last year, and earlier this month, it fired four rockets in what it described as practice for an attack on US military bases in Japan. Seoul has meanwhile blamed Pyongyang for the death of Kim Jong-un's half-brother, who was poisoned with the lethal nerve agent VX in a brazen Cold War-style assassination on February 13 at a Kuala Lumpur airport. The murder and subsequent row with Malaysia over the handling of the body and several North Korean suspects has sent diplomatic friction between the two soaring. On Sunday, Kim also personally oversaw and hailed a "successful" test of a powerful new rocket engine, which can be easily repurposed for use in missiles. The test was apparently timed to coincide with a recent Asia trip by US Secretary of State Rex Tillerson, who warned that regional tension had reached a "dangerous level".